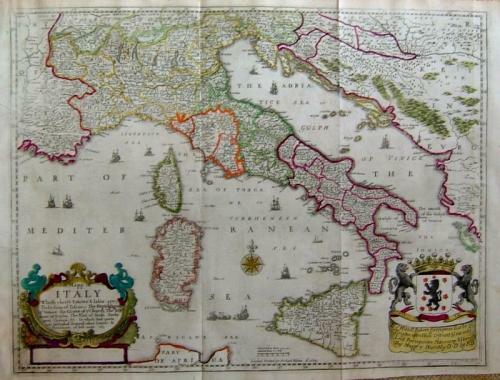 A rare and very decorative English map of Italy. In very good antiquarian condition with folds as issued. Minor paper crease in upper left margin that crosses into the image area.